Recently I received the most unexpected gift I think I have ever received. 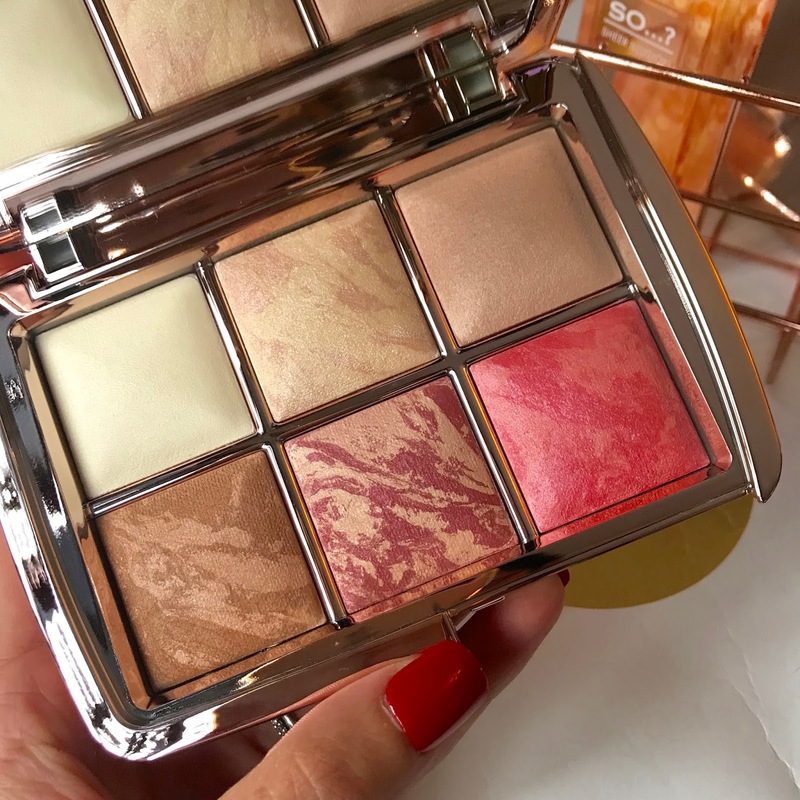 You may have seen how much I wanted this palette as I mentioned it in my Beauty Wishlist Post, and here I am, the owner of the beautiful Hourglass Ambient Lighting Edit (£69). Let me start from the beginning. My best friends and I had met up to have a browse at the new Fenty collection at Harvey Nicks and to grab some food at The Mailbox. 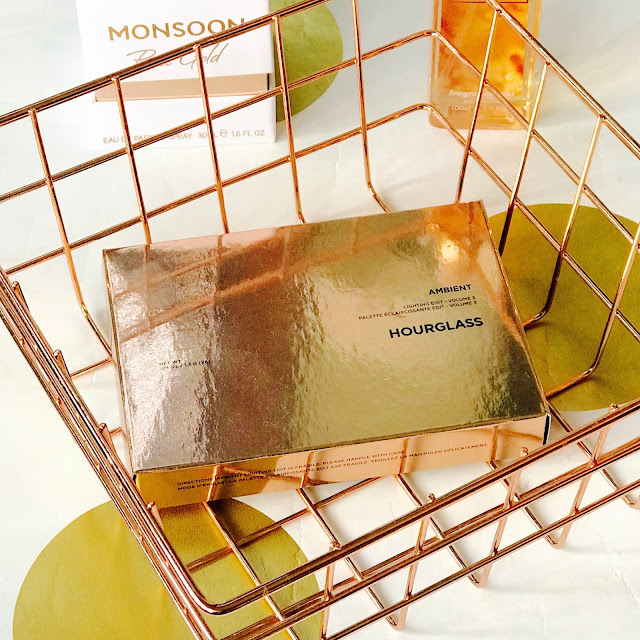 While we were browsing, the Hourglass palette caught my attention and I started telling my friend how amazing it was and how I had wanted it since it launched. I explained how I might put this on my Christmas wish list. Then out of nowhere my friend said she was going to buy it for herself! She said that she trusted my opinion and that it looked really pretty. This didn't strike me as unusual as my friend loves make-up just as much as me, so I shrieked with excitement. To be honest, I would be lying if I didn't say I was a little bit envious of her, but I couldn't justify the £69 price tag, as I was waiting for my mortgage application to go through at the time! Anyway, we headed off to dinner and then towards the end of our little date we decided to get it out and have a closer look. While we were staring at it with wonder, my friend said ' I bought it for you, you know '. I was so confused, I must have mumbled 'Huh?' or something like that, and then my friend repeated that she bought it for me, as a way to say thank you for all my help over the past few months with her new business she is launching. I was, and still am baffled. I couldn't accept and wouldn't accept until she was ready to leave it lying there at which point... I accepted. I think this is probably the nicest real surprise I have ever had, I was so shocked, I think I wanted to cry. I was confused at how generous and lovely she could be to me for doing something that any friend in my eyes would have done. 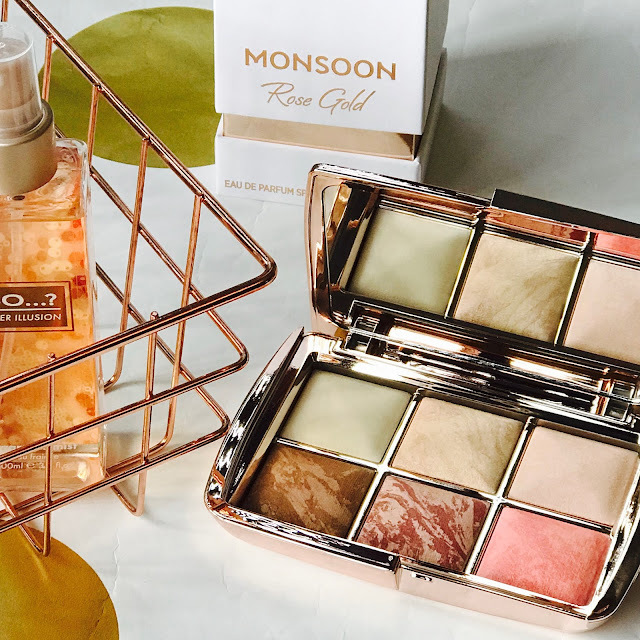 So this is the story that goes with this review and makes this palette that little bit more special for me. Thank You Sonia. Now for the review. This palette has lived up to all the expectations I had placed on it. I hadn't read any reviews, I knew from the first time I saw it, I wanted it and had placed expectations on it myself. Firstly with the price, it might seem expensive, however it is quite good value considering purchasing a power individually costs £40. In the palette you get 6 for £69, even though they are slightly smaller, it is still very much worth it. What I love about this palette is that it has every powder you need to get a complete look on your face.nFrom top to bottom, left to right, you have Diffused Light, which is a finishing powder. I use this under my eyes and on the T-Zone section, the areas that need an extra bit of setting and highlight, but it can be used all over the face. Then we have the Hypnotic Strobe Light, which can be used as a highlighter. I use this on the cheekbones, brow bone, down my nose and on my cupid's bow. 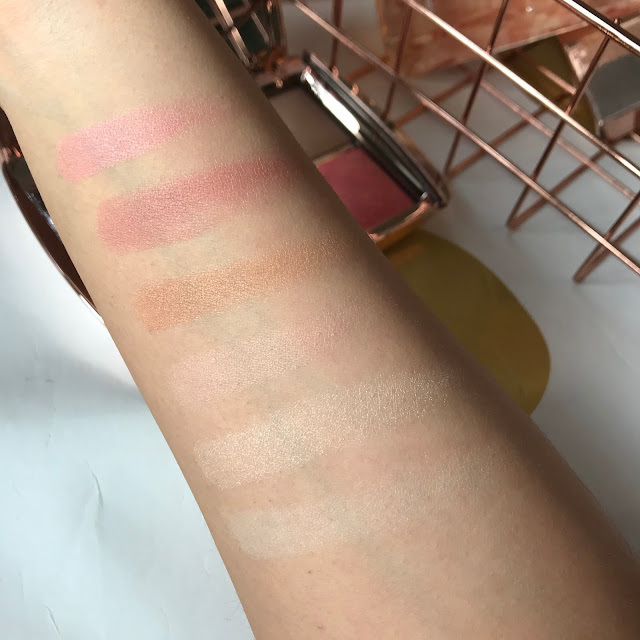 The last shade on the top row is Dim Light, again meant to be used as a finishing power, however because it is slightly darker I use it more in the contours of my face like the hollow of my cheek. Swatches: (Top to bottom) Pure Effect, Surreal Halo, Luminous Bronze Light, Dim Light, Hypnotic Strobe Light, Diffused Light. 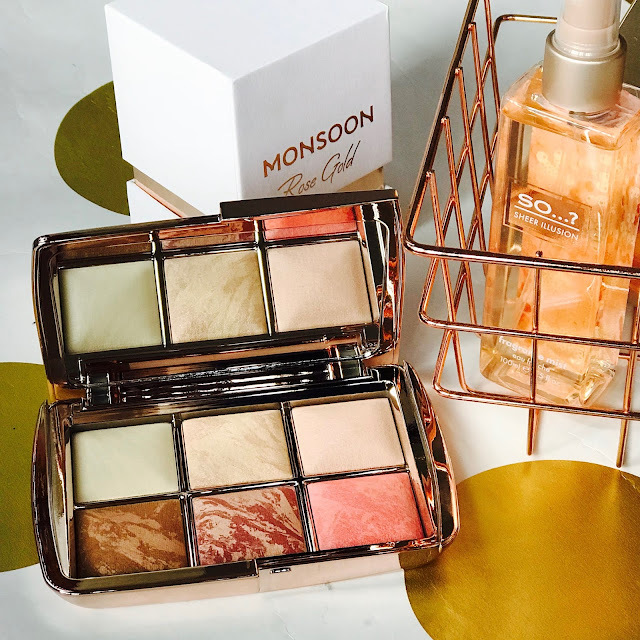 On the bottom row we have Luminous Bronze Light, a stunning bronzer which I use around the top of and across my forehead, over my nose and around the jawline. It can be used as a blush too. The final two colours are the Surreal Halo and Pure Effect. Both are intended to use as blushers, Surreal Halo a deeper plum colour and Pure Effect being a pretty pink. I tend to use Surreal Halo on the outside of the cheek and then dab Pure effect right on the apple of my cheeks. What I am left with is a radiant skin, emanating vibrance. The effect is stunning. 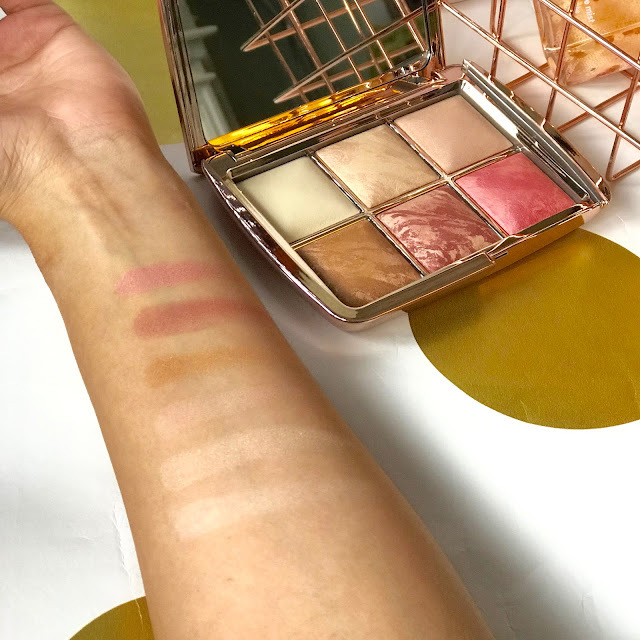 I love how versatile the palette is, you can layer colours together or wear on their own and still notice a difference in your makeup and skin. The palette can be worn from day to night with more or less colours being used to suit the occasion. The powders are long lasting and compliment one another so well. Honestly, it is my FAVOURITE beauty product of 2017. 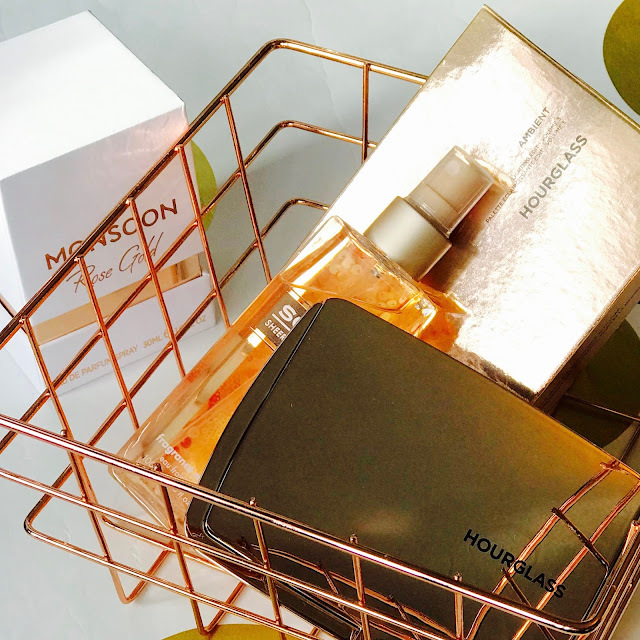 Have you tried any Hourglass products? What do you recommend I try next? All of the colours are perfection! I think it's the best one yet! I think this is the best one they have come out with. You'll need to be quick because it's pretty much sold out! Love the swatches! The colours do look so pretty and the palette so wearable! It just makes you glow it is stunning! I don't blame you it's their best one yet! Everyone needs it in their life! I mean, wow, this palette is almost too pretty to use! I've yet to try Hourglass but this will definitely change in 2018.